Seek advice from a physician before consuming this product. Do not use if you are contemplating pregnancy, pregnant, nursing, prone to dehydration, or exposed to excessive heat. Reduce or discontinue use of this product if sleeplessness, tremors, dizziness, nervousness, headaches, or heart palpitations occur. This product is only intended for use by healthy adults 18 years of age or older. Discontinue use two weeks prior to surgery. Keep out of reach of children and pets. Store in a cool dry place away from direct sunlight. Hulmi JJ, Kovanen V, Selänne H, Kraemer WJ, Häkkinen K, Mero AA. Acute and long-term effects of resistance exercise with or without protein ingestion on muscle hypertrophy and gene expression. Amino Acids. 2009 Jul;37(2):297-308. Hulmi JJ, Kovanen V, Selänne H, Kraemer WJ, Häkkinen K, Mero AA. Acute and long-term effects of resistance exercise with or without protein ingestion on muscle hypertrophy and gene expression. Amino Acids. 2009 Jul;37(2):297-308. doi: 10.1007/s00726-008-0150-6. Burd NA, et al. Greater stimulation of myofibrillar protein synthesis with ingestion of whey protein isolate v. micellar casein at rest and after resistance exercise in elderly men. Br J Nutr 1-5, 2012. Haraguchi FK, Silva ME, Neves LX, Dos Santos RC, Pedrosa ML. 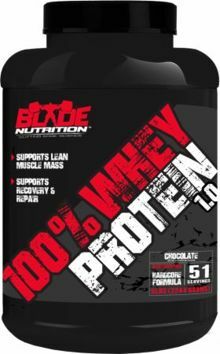 Whey protein precludes lipid and protein oxidation and improves body weight gain in resistance-exercised rats. Eur J Nutr. 2010 Nov 3. Sheikholeslami Vatani D, Ahmadi Kani Golzar F. Changes in antioxidant status of overweight young men after six weeks supplementation of whey protein isolate and resistance training. Appetite. 2012 Dec;59(3):673-8.